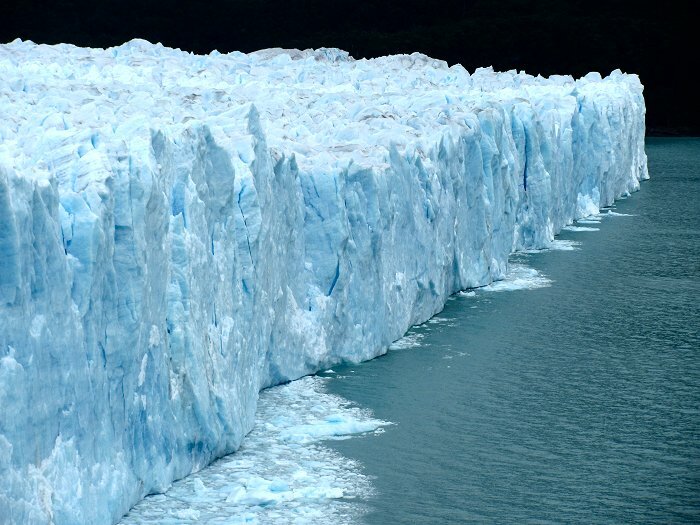 The face of the Perito Moreno Glacier in Argentina's Los Glaciares National Park. This glacier is one of several tongues of ice that descend from the Hielo Sur, or the Southern Patagonian Icefield. The glacier moves forward at speeds of up to 2 meters per day.